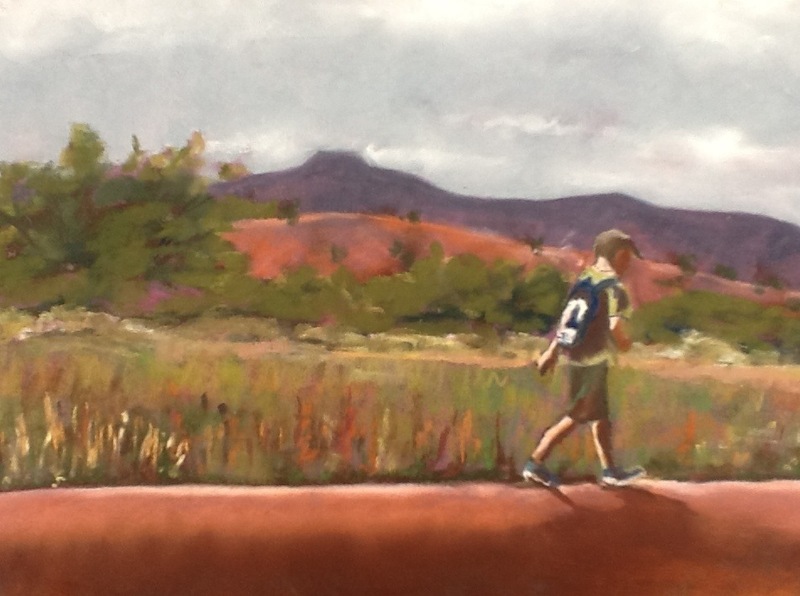 My son walked into this landscape I was painting plein air. I took a portrait workshop from Judith Carducci once, and she told us that if we could capture the shape of the shadow on the face we would find a likeness. Moving targets are tricky to capture, but I tried Judith’s method with the highlights on Micah…the top of his hat, his neck, down one arm, and his other elbow, the back of both legs…and there he was. Neat trick. Micah likes to balance his way on top of things and through life. It is fun to watch. You captured Micah’s action wonderfully.